We are sorry to see your family leave our district. This survey is confidential and anonymous, and it will give us important information to improve our schools. * 1. Which building(s) did your child(ren) attend? * 2. What grade level(s) are your children currently in? * 3. What is your primary reason for leaving the school district? * 5. Now that you have experienced our school district, how would you describe the CH-UH City Schools to a friend or neighbor? * 6. 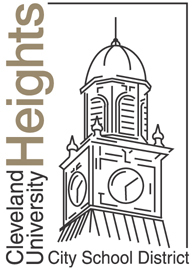 Please give us specific suggestions for how we could improve our school district for the children in Cleveland Heights-University Heights.